We recently sold our home in, what has been, a particularly difficult market for selling houses. Al Padgett was our Agent, and he proved himself to be a great blessing, throughout the process. He was more a friend than just an Agent. At every critical juncture, he was there toadvise us and give us of his experience and expertise. On numerous occasions, whenever we needed changes to be made in our details, it was never too much trouble for Al to make the changes for us. Plus,he always did a professional job. We we finally got the offer, Al was there to guide us smoothly through the process, to closing. We were free to concentrate on finding our new home, and orchestrating the move, without having to be concerned with all the technicalities of the sale. We would definitely recommend Al for your real Estate needs. It has now been almost four (4) months since we purchased our home with your assistance. Of course we were excited to close the deal on our new home then; however,we now realize how truly fortunate we are to have had you as our Realtor. Your unparalleled knowledge, expertise, and systematicapproach to the search, beginning with the right neighborhoods and working inward from there, kept us from making a decision that we wouldregret for years. Your understanding of the market and ability to foresee "what could happen"we now truly believe, saved us from losing literally tens of thousands. Your understanding of not only where our family is currently, but where wewant to be in the future was akey feature in helping usto make theright decision. Though I am sure you had other Clients at the same time we were searching, it really felt like you were working exclusively forus. Your selflessness, flexibility, and willingness to accommodate at all cost allowed us to make easy work of the whole process regardless of the long distance we were traveling. You are a true professional. We are very grateful to have made your acquaintance, and highly recommend your services to anyone searching for a home in eastern North Carolina. We met with Al Padgett prior to listing our home. At that initial meeting, he gave us advice on the improvements that were needed to insure that our home would sell quickly and at our price. We followed his advice and our home sold in only nine (9) days! We highly recommend his professional and friendly service. Al Padgett , an A+++ Agent!! Thank you so much for your guidance in the selling of our house. You came in at the right time and turned everything around for the better for us! You were there for us every time we called on you and you patiently answered every question that we had. We really cannot thank you enough. We were very impressed by your professionalism and your knowledge of what buyers are looking for in a home and your advice on how we should present our home to the market! This was our first time selling a house and you saved us tons of time and money and sold our house faster than we could have expected!We will definitely recommend you to anyone in the market to sell or buy a home! Thank you for being our friend. Roberta and I are so appreciative of your assistance in the purchase of our new home. Buying a home, especially a first home, can be an extremely stressful event. However, in our case, it was not so. Your professionalism and easy going nature made our purchase very easy. I am so grateful for your patience and understanding. You were there every step of the way. Roberta and I are much wiser for knowing you, and we will highly recommend your services to anyone looking to purchase a home. I have found it hard to find a person in business that has that personal touch. Know that you have set the bar for service in our book. We not only gained a home, but a friend as well. We hope that you and your family are healthy and have a Happy New Year. Please stay in touch. 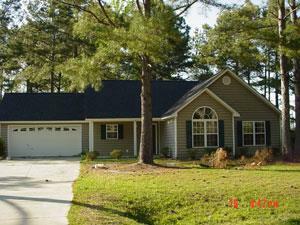 Al Padgett of First Carolina Realtors, supported us through every step of the buying process. Al listened to our needs and desires, and correctly assessed our situation quickly. With Al's help, we were able to find a home and make an offer within a day. His knowledge of the local area, builders, and local contacts helped guide us through the construction and closing on our new home.He was there for us for the initial MLS listing search, contract negotiations, inspections, walk through, and closing. Every time we called, Al listened with personal concern, and offered sound advice. We absolutely love our new home, and we want to thank you for helping make that possible. Your advice and knowledge made buying a house so much easier. You were always there for us, day or night, at your home or at your office.We were impressed that you would even call us, if you would not be available for any period of time and let us know that. Thank you for your patience and your dedication to us throughout this entire process. We will recommend you highly, and seek you out when we have a real estate need in the future. We enjoyed your fine services in assisting us in the selling of our property in The Moorings. "I highly recommend a Home Inspection!" This is the best guidance you could have given us. It saved us over $3,000.00 in repairs that only a Certified Home Inspection could have caught! Thank you for your time and effort with us. As first-time home buyers, we had many, many questions to ask. Your vast knowledge and unwavering professionalism provided straightforward answers to our difficult questions. Dear Al,I cannot thank you enough for all that you have done. After living abroad for over six (6) years, it was so pleasant to come "home" to someone so willing to help. Wanting to purchase my first home, you made the experience so easy. Your vast knowledge, and impeccable customer service skills assisted me from "Start to Finish" in every way. You were always available to answer my questions, address any concerns that I had, and "ALWAYS" worked with my best interest in mind. I am so very grateful for all of your long hours, and hard work on my behalf. I just wanted to take a moment to thank you for everything. From our first meeting to closing, you were there to answer all our questions. You made buying a home seem so easy. Since this was our first home purchase, your professional knowledge and guidance were very helpful. Mike and I felt as if we were not just clients, but friends. Thank you again, and please feel free to stop by, and visit us in our new home. We would like to say thank you for being so helpful and understanding with us and all of our questions. We are sure that it would have been a much more exhausting process without all of your help. Thank you again for everything! Kris and I want to thank Al Padgett for all of the hard work that has been done to help us find, and own, a home. Al has been there for us on weekends, holidays, evenings and any time we have called upon him for assistance. He made it clear that he was available whenever we needed him, and he was. Buying a home can be a bit frightening, but Al was there helping us through the process at all times. There was not a single time when Al didn't answer our phone call immediately, or return our call within the hour. Al and I have spoken on the phone almost daily for the past month and a half, and to tell you the truth, I'm going to miss it because he was always so warm and polite. We had a great first home buying experience, and we thank you for the timely and efficient service you have given my family. We can't thank you enough for how awesome you were when we were buying our first home. It was an entirely new experience for us, and you walked us through every step of the way. Being a new family in a military town, we didn't have our friends and family here to give us advice and guidance. Fortunately, you provided all the help we needed. After we bought our home, you checked up on us on occasion, and you blew us away with your kindness when you dropped by on Christmas Eve to bring a gift for our soon-to-be new family addition. When the time comes for us to leave Havelock, we look forward to having you sell our home. Many times, the hardest part of purchasing a new home or investing in property is the initial first step. One of the first decisions to be made is, do we list with a real estate broker? A broker who is professional, knowledgeable and truthful is of the utmost importance. Al Padgett certainly meets all of these requirements. 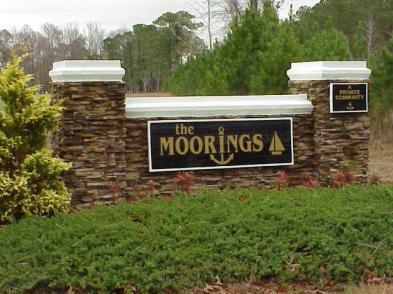 After years of searching the Beaufort area on our own, we met Al Padgett, who graciously spent several hours with my wife and me, answering all of our many questions concerning the purchasing of property in The Moorings subdivision. His knowledge of the area clearly was a major factor in aiding us to make the decision. I cannot speak highly enough of my dealings with Al Padgett who, in his professional, knowledgeable manner, helped my wife and me make a major decision concerning a retirement move for us.